Best dang Pecan Pie ever!! We never called it that, but I alywas have a small slice of pumpkin and a small slice of apple. 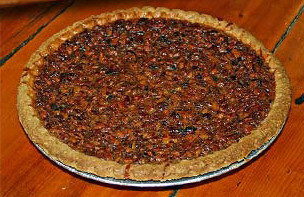 I feel bad for DH, because pecan is his favorite, but no one in my family likes it so we never have it, and it wouldn’t make sense to get a pie just for him. We alywas do Thanksgiving with my side so he never gets his pecan pie. Maybe I’ll try to buy him a mini.